Fortunately, many Canadians agree. Since the 1700s, the maple leaf has been Canada's identifying image, signifying pride, connection and community. Standing front and center on the Canadian flag since 1965, the maple leaf is also the namesake of the country's signature gold bullion coin. 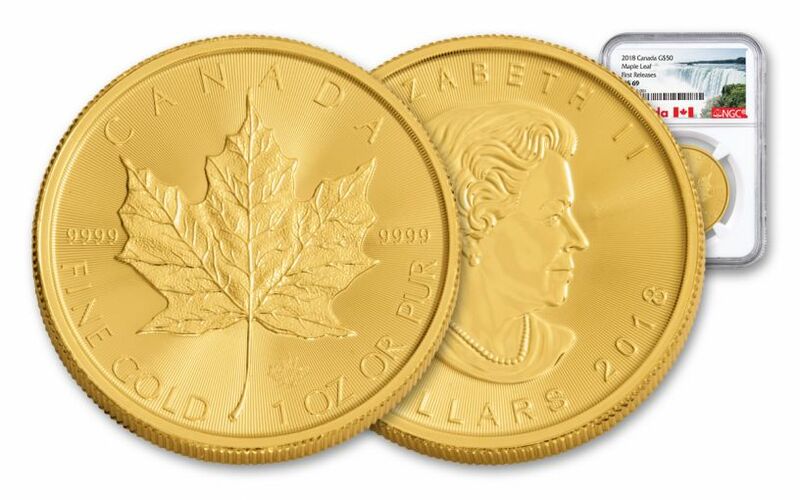 Since its introduction in 1979, the Gold Maple Leaf is now among the most iconic and instantly recognizable coins in the world. And now you can bring home the 2018 installment of this beloved series! SINGULAR, ICONIC DESIGN-- One year shy of its 40th anniversary, the 2018 Gold Maple Leaf’s primary design is still as lifelike as ever. One leaf, exhibiting superior texture and detail, is surrounded by a vivid burst of radial lines. ADVANCED ANTI-FORGERY PROTECTION-- Look below the coin's centerpiece and you'll discover another smaller leaf, micro-engraved with the number "18." 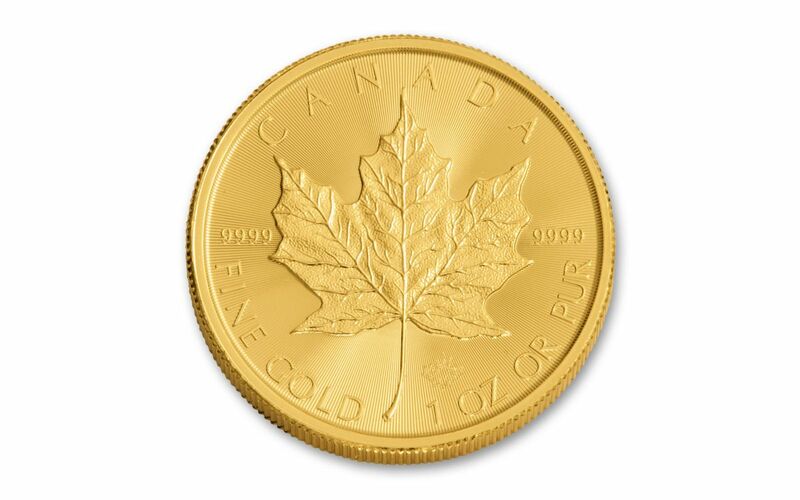 Along with the Maple Leaf's textured background, this elegant mark serves to thwart counterfeiters -- and give you full assurance that you hold a genuine, government-guaranteed, high-purity gold coin in your possession. EXPERTLY STRUCK-- The artisans of the Royal Canadian Mint are known around the world for their craft. Beginning as a one-ounce planchet of 99.99% pure gold, each coin is struck to create bullion of exceptional quality. 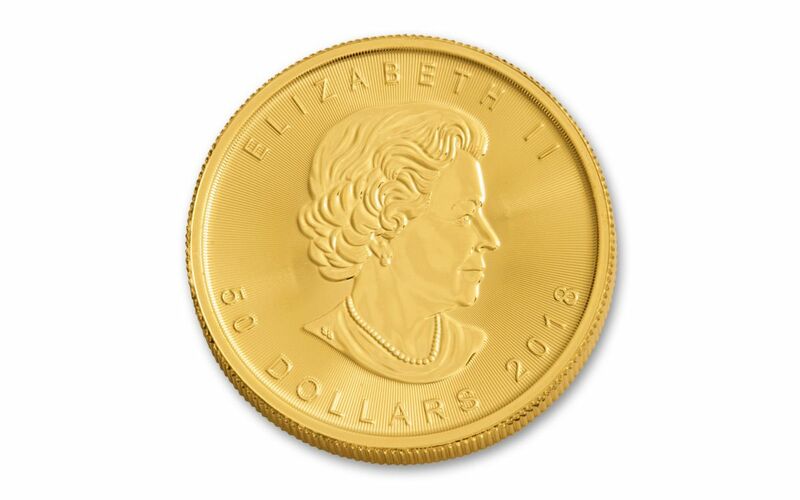 CANADA LEGAL TENDER-- Each 2018 1-oz Gold Maple Leaf is 50 dollars Canada legal tender, confirmed on the coin's obverse along with Susanna Blunt's portrait of Her Majesty Queen Elizabeth II. CERTIFIED NEAR-FLAWLESS -- Your coin will come certified Mint State-69 (MS69) by Numismatic Guaranty Corporation (NGC), a distinction that means your almost-flawless 2018 1-oz Gold Maple Leaf will showcase an impressive full strike and indistinguishable imperfections. 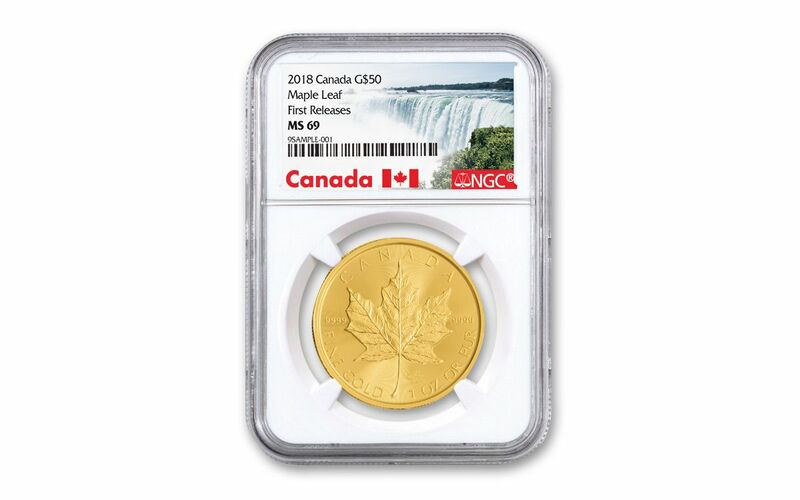 In addition, your Gold Maple Leaf will be certified First Releases (FR) by NGC, meaning that it was among the first struck by the mint and was verified within the first 30 days of issue. Finally, your coin will be sonically sealed in an acrylic holder, giving you the best in protection while granting clear sightlines into every beautiful detail. For nearly four decades, collectors have clamored over each new annual release of Maple Leafs. 2018's golden class is already looking to command just as strong of demand. Don’t wait to get yours -- order one for your collection today!